With the help of 22 landowners and seven agencies, over 500 acres of invasive species were sprayed and / or mechanically removed in 2009, 2010, and 2011!! 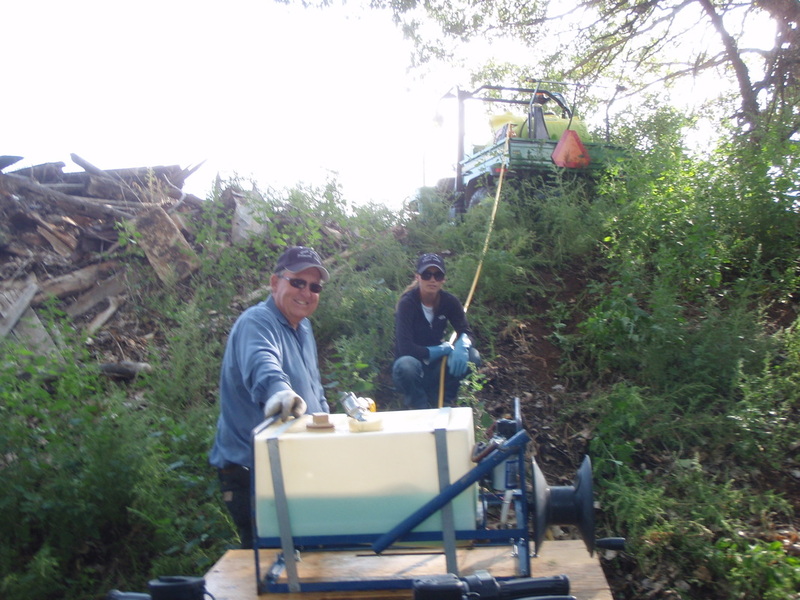 Jana Gregg and J.R. Phillips (Fremont County Weed Management) pose while refilling their spray tanks. 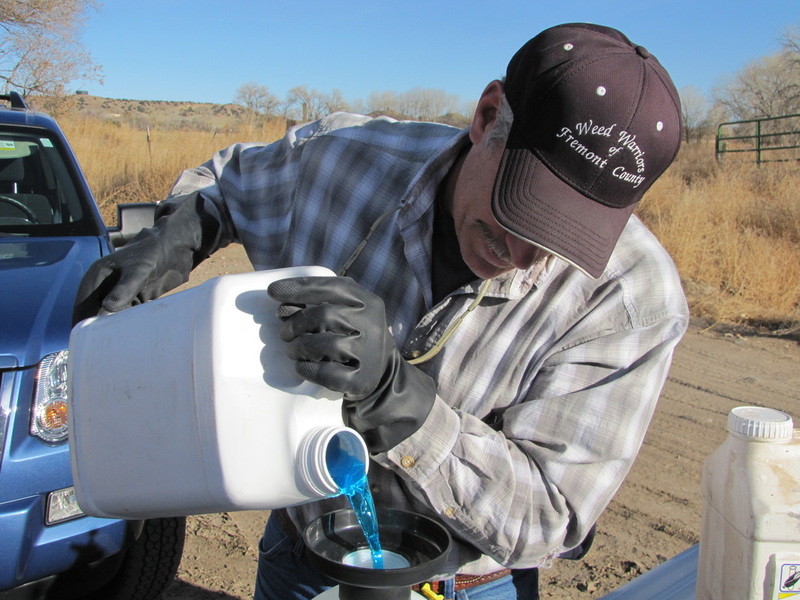 Tom Grette (Fremont County Weed Management) prepares for a day of weed spraying in the Fourmile Creek area. 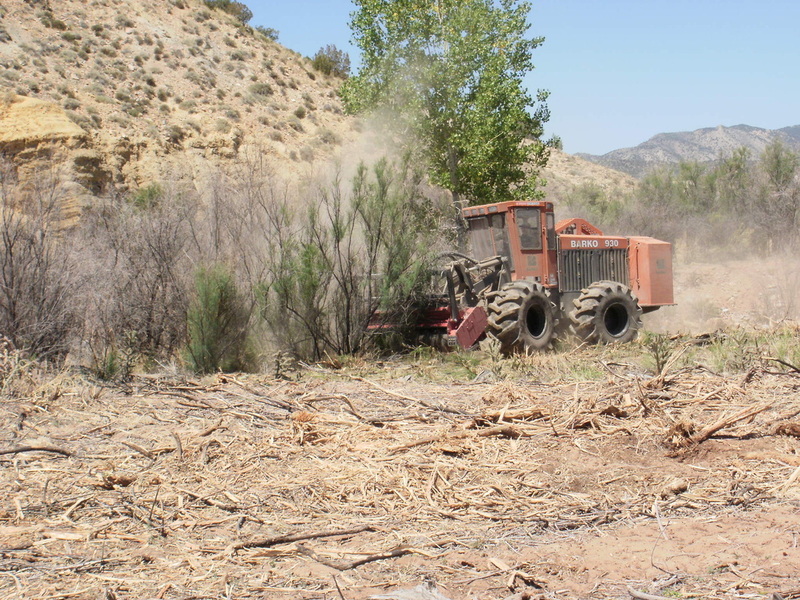 Machines were used to mulch the dead/dying tamarisk trees following two years of chemical treatments.